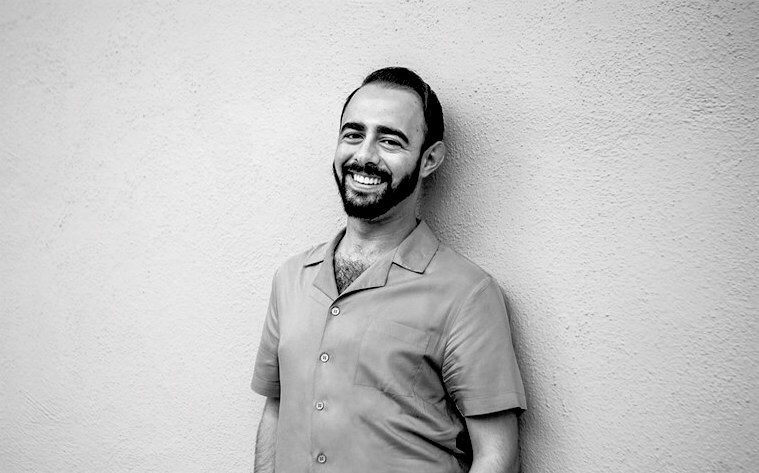 Today we’d like to introduce you to Matt Dorado. I was born and raised in Los Angeles. Halloween was always my favorite holiday–I was the kid that went trick or treating right when I got home from school, so I could get the candy early and be home in time to scare all the suckers that came when night fell. I would set elaborate scares up in my front yard, complete with crazy decorations and spooky soundtracks. When I was in my early teens, I went to Halloween Horror Nights at Universal Studios Hollywood (when it reopened in 2006). I remember having nightmares (which, in retrospect, is a bit ridiculous for someone who loves horror) and couldn’t sleep for nearly two weeks after getting back. One night, I woke up in a cold sweat, and realized that this wasn’t scary, but exactly what I wanted to do with my life. I wanted to make haunted houses. My senior year in high school, I made my first public haunted house (more like ‘haunted room’) in my friend’s basement. Two years later, when I left to college up in Santa Barbara, I created a haunted house in my dorm room for two years in a row. My senior year of college, I created a haunted house in town, and the year after that, opened the first public haunted house in Santa Barbara. Immediately after that, I moved back down to Los Angeles, started Drunken Devil as a company, and opened a haunted house in Downtown LA in 2015. It sucked. I lost money. And I hated everything about it. While it wasn’t the most successful haunted house, it did have a fun element to it. It was one of the only attractions in town at the time that ended in a bar. The bar had burlesque that happened every hour, and an upbeat vibe. People stayed after the haunted house for hours, and I realized I had something on my hands. 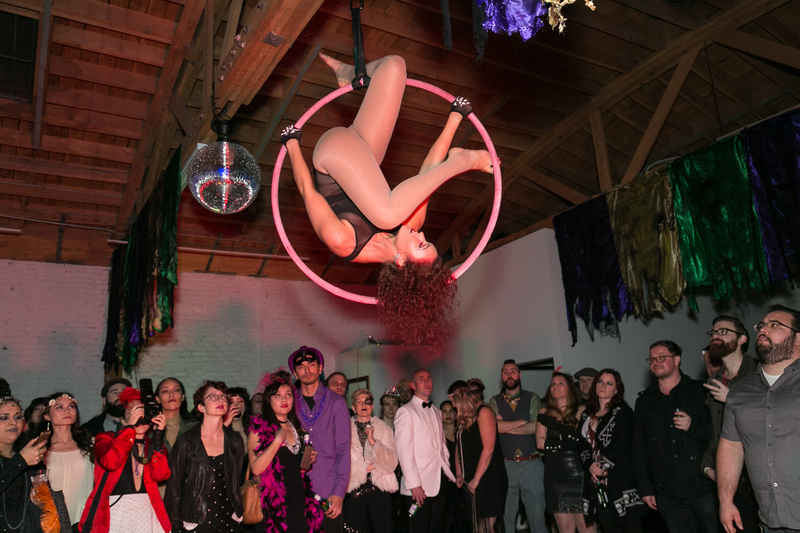 The following year, I began getting more and more involved in the nightlife scene here in LA, going to warehouse parties, burlesque shows, and dark immersive theatre, and I realized that Drunken Devil could make a name for itself in this space, integrating my love of haunted houses with the popularity of immersive theatre and underground nightlife. Thus, we began producing horror-themed, interactive parties, and are growing with each event. While it’s been a fun road, starting a brand from the ground up has had its ups and downs. It’s been nearly three years and there are still moments of doubt and uncertainty I have when it comes to the company. I’d say that every entrepreneur faces this concern. For me there is no guide, manual, or map. You can’t major in “Halloween,” or “Nightlife,” or “Immersive Theatre.” So, it’s been a learning process. I’ve had to figure exactly what kind of marketing or PR works, and what doesn’t. Or facing unexpected permitting issues, logistics, and determining pricing and costs. However, just because I’ve had to learn the hard way on some things doesn’t mean that this road hasn’t been worth it. I wake up every day excited to face the day (albeit with a constant sense of entrepreneurial anguish that something can go wrong at any moment). But I’m happy to live knowing that I’m chasing my dream, and that people are enjoying what I produce and create. Drunken Devil produces what I call “haunted nightlife.” We take elements of haunted houses (scary situations, scenic design, dark characters) and combine those with some of my favorite elements of nightlife: burlesque performances, live bands and DJs, and even a bit of immersive theatre. At any given event, you’ll find yourself transported to a new world (A haunted tiki bar circa 1954? A Halloween cocktail party thrown by a satanic cult? A turn-of-the-century New Orleans brothel that may be a front for a vampire hive? ), with multiple characters that interact with you. 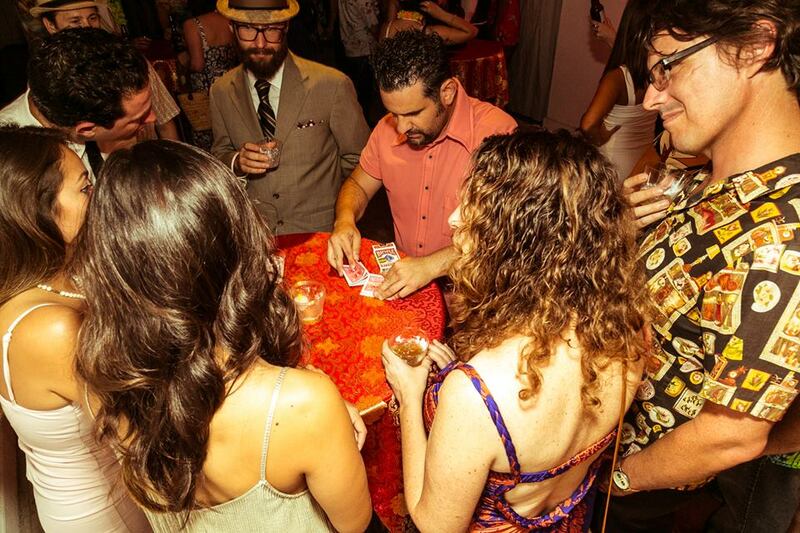 You enjoy an open bar with sponsored cocktails, magicians, marionettes, tarot readers, burlesque performances, and, to cap it off, a dance party with sets from some of LA’s most prominent underground DJs. 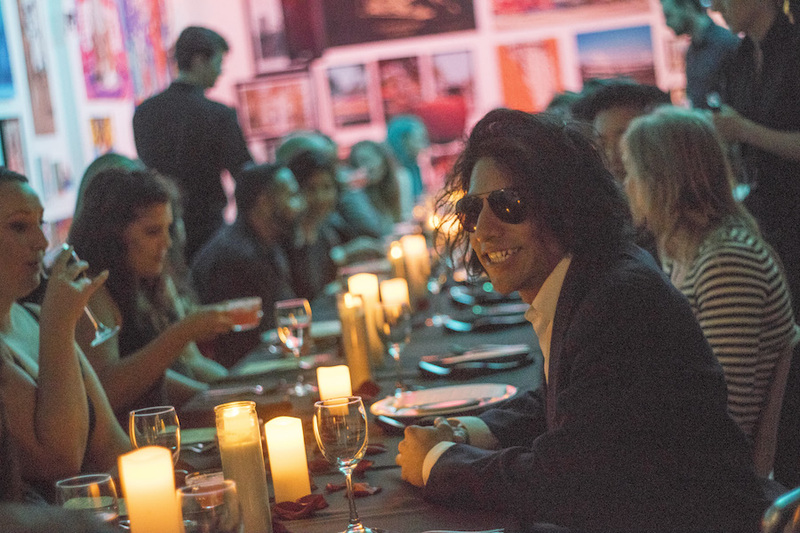 In addition to these events, we have started a bi-monthly supper club called “To Live and Di(n)e in LA,” where you sit down for dinner with some of Los Angeles’ most infamous serial killers and victims. 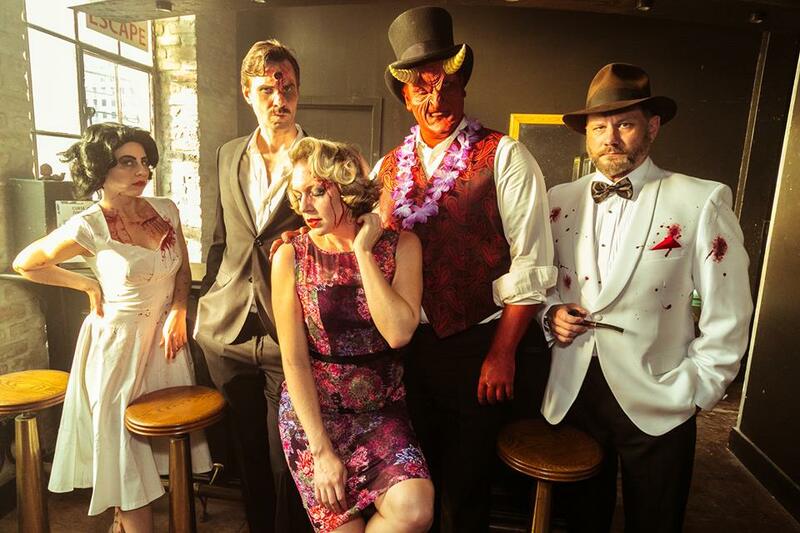 You’ll interact with the ghosts of the Black Dahlia, Charles Manson, and Richard Ramirez, all while enjoying exquisite plates, delectable cocktails, free-flowing wine, and performances that help tie the story together. We’ve also started a residency at Brack Shop Tavern, producing “Deviled Eggs: Burlesque Brunch,” which takes on a new theme each month. I never thought that I’d be producing so many types of events. In addition, we are a production agency, producing these unique experiences for private clients. Drunken Devil can bring our one-of-a-kind aesthetic and vibe to any event for a client and have just expanded into that market. Like I mentioned before, I’ve always been in love with Halloween, horror films, dark comics, and more. Growing up, I wanted to make horror movies, until that fateful night I went to Universal Studios. I was an only child, so I spent a lot of time alone, with my own imagination, crafting stories in my head. I was never into sports, nor was I particularly athletic. I’d stay up late watching horror movies, reading horror novels (I received my first Stephen King book, ‘Night Shift,’ before I was 10, so that explains a lot). All this really prepared me to launch into the career I’m in now.